Keith and I know too well that bad things can happen in paradise. We have both been flown out of the Bahamas back to a hospital in the states. Same trip-different weeks. Keith for a kidney stone/infection/severe dehydration and me for neurological problems most likely due to ciguatera. But that’s a whole different post about a trip gone bad. 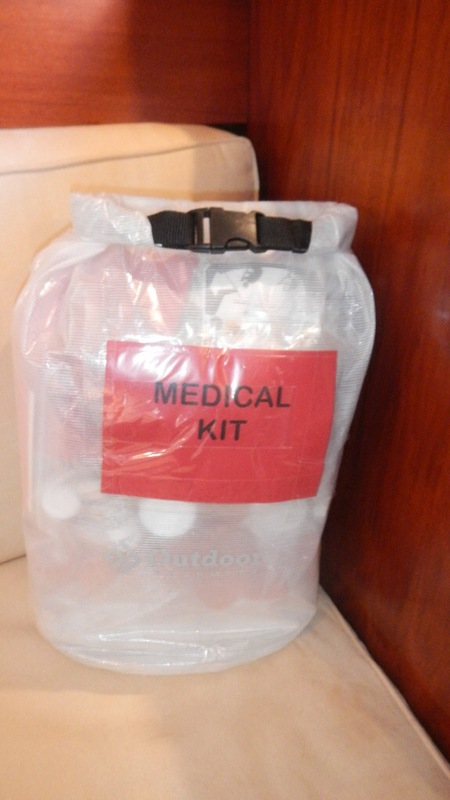 The point is, I took putting together our medical kit seriously (though, admittedly, no medical kit would have helped us with our previous situations). I started with the West Marine 400 kit that we inherited on one of our previous boats. I liked how everything was grouped and packaged according to injury/illness type. I also liked that each package had a quick reference card and an inventory list for each category so I tossed the dry-rotted and expired items and replaced them with fresh and started building from there. I researched other kits and added a few new items such as “quick clot” for arterial bleeds and a dental kit. I kept things within our scope of skills, meaning I don’t have a suture kit but I do have two boxes of steri-strips and clear instructions of how to use. I also worked with our doctor on our list and prescription inventory. She made a few good points- like if we ever needed one of the 6×6 gauze squares, we were probably going to need a lot of them. In the end, my kit is significantly larger than our original but highly organized and suited to our personal needs and skill level. (Not everyone needs a bottle of 100 urine test strips, but unfortunately I do). I packed it up in a waterproof bag and have it stowed near the Nav station, along with all the other “oh-crap” items. 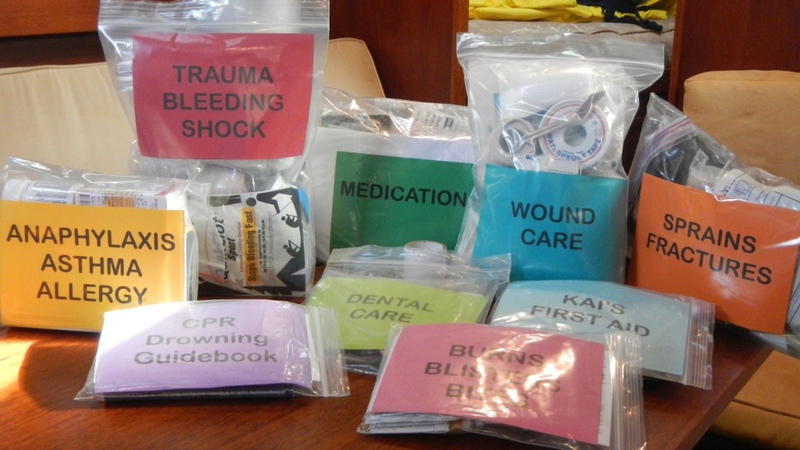 In addition to the kit we have multiple first-aid afloat and wilderness first aid books aboard and one in the kit as well. 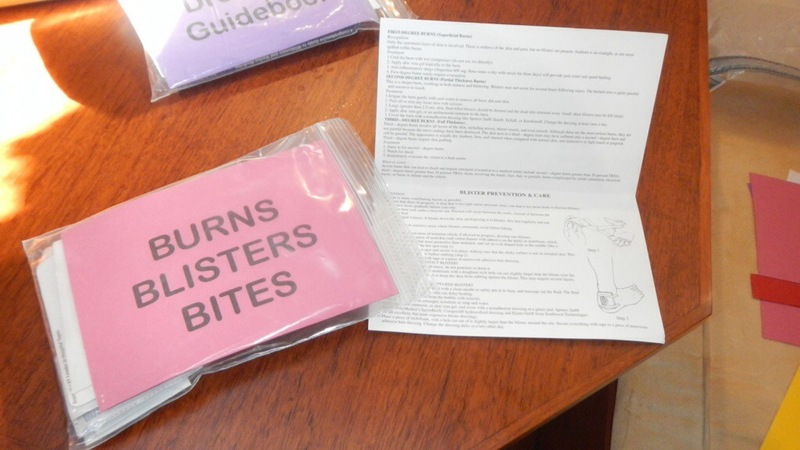 We will also be taking a CPR and wilderness first aid class before we go. 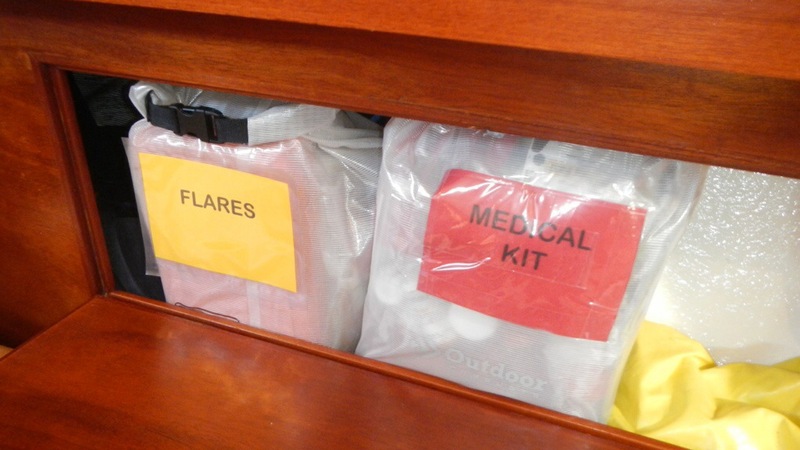 As for over-the-counter medications and ointments, I have at least one box/bottle of every type stowed in a waterproof container in the head so that the main medical kit isn’t required when one of us has a paper-cut or a headache. Now all we need is the good luck that it will all have a chance expire without being used! !